"We decided to upgrade an already successful car and went in for this full model change. Brand Alto has always been popular for attractive design, performance and fuel efficiency. 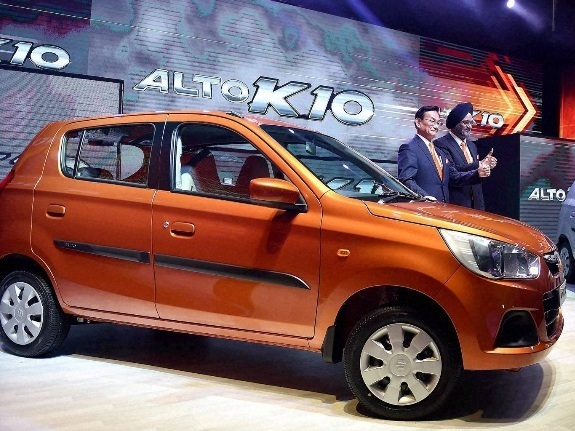 So, the next generation, Alto K10 offers more in all these parameters," said Kenichi. Maruti Suzuki is preparing for what it has said will be a period of slower sales in the coming months. Sales of Maruti's passenger cars fell 1.1 percent in October from a year ago, breaking five consecutive months of increase. Kenichi added that part of the effort to counter the slow return to health is a move up-market, to cash in on India's growing urban middle class and improving consumer sentiments.